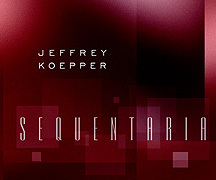 Jeffrey Koepper cannot be accused of rushing Sequentaria (70'56") to the marketplace; it sounds as though he has been working on it for over 30 years. His third CD is a robust tour of 1970s and '80s sequencer music - falling somewhere between the venerable Poland, Oxygene and Equinoxe. 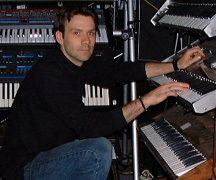 Although inspired by the first era in electronic music we recognize as our own, Koepper is unafraid to be unfaithful. The originals disappear into this artist's core and the music becomes his alone. Using classic analogue instruments alongside modern hybrids, intertwining sequencer patterns head for the horizon while churning synth pads and buzzing keyboard melodies rise skyward. Electro-percussion approximates a samba rhythm section and ambles through a synthetic landscape rife with heady lead lines. Robo-drums march beneath swelling harmonies, chirping alien-choir and fat tunes spun on vintage gear. From brave anthems and galloping arpeggios all the way down to the introspective phasing of two oscillators, Sequentaria shines brightly in the Spacemusic continuum.